Millions of people disappear without a trace. All that remains are their clothes and belongings. In an instant, terror and chaos spread around the world. The vanishings cause unmanned vehicles to crash and burn. Planes fall from the sky. Emergency forces everywhere are devastated. Gridlock, riots and looting overrun the cities. There is no one to help or provide answers. In a moment, the entire planet is thrown into darkness. The Steele family is caught on the razor's edge of that darkness. 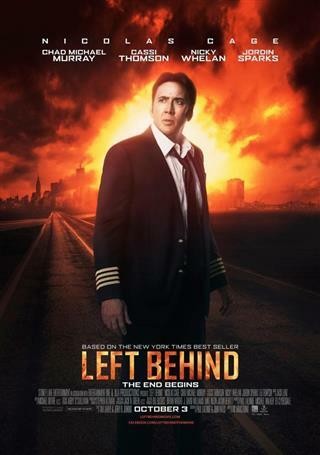 Ray Steele (Nicolas Cage) an airline pilot, struggles to calm and ultimately save the lives of passengers that remain on his flight while his daughter Chloe (Cassi Thomson) races to find her brother and mother, both of whom have disappeared. Based on the New York Times Best Seller.